The 46-year-old woman went missing from her holiday home in Moville in January 2009. GARDAÍ IN DONEGAL have started a land search and excavation as part of the investigation into the disappearance of 46-year-old Deirdre O’Flaherty. Deirdre, a doctor from Tyrone, vanished from her family’s holiday home in Moville, Co Donegal on 11 January 2009. Her car was found at a nearby beach. She was declared dead by a High Court judge in Belfast in 2012 who said he was satisfied the woman had drowned after going into the sea. Gardaí said the search will be carried out by members of the Donegal divisional search team and the Garda Technical Bureau. They will be assisted by private contractors and the search is expected to last up to five days. “This development continues to form part of a missing person investigation and there is no change of status regarding same,” gardaí said today. They said they are liaising closely with the family and a liaison officer has been appointed. 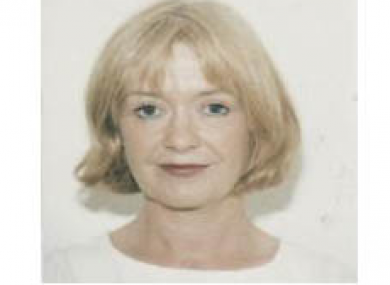 Email “Gardaí investigating Deirdre O'Flaherty disappearance begin excavation in Donegal”. Feedback on “Gardaí investigating Deirdre O'Flaherty disappearance begin excavation in Donegal”.